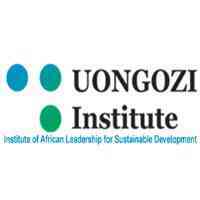 Through its Internship Programme, UONGOZI Institute seeks to engage a recent graduate in the Procurement Management Unit. The successful candidate will assist in the day-to-day activities of the Department, including receiving ordered items from suppliers, issuing store items to users’ departments, preparing GRN, GIN, SRF, LPO, PR, maintaining the store and its supplies, and updating procurement register. o Practical experience of the Procurement Act no. 7 of 2011.
o Government procurement policies & procedures. o Filling system related to Procurement. o Stock taking & auditing. o Different computer software and programmes for performing procurement tasks. o Office practices and procedures. o Bachelor’s degree in Procurement & Supplies or any other related field. o Registered with Procurement and Supplies Professionals and Technicians Board. o Ability of multi-tasking in a fast-paced environment. o Proficiency in MS-Word, Excel and internet search tools. o Volunteer experience is preferred, although not required. Interested candidates should submit their applications via [email protected].or.tz with the following subject line “Procurement Intern”. The application should include Curriculum Vitae (CV) with contact details of three referees and a motivation letter, submitted by April 07th, 2019. Earlier applications will be highly considered.